Magnetism is one of the titles from Penguin’s Great Loves series. I have a few titles from this series that I’ve collected over the years, and now I’m curious to see how some of the other selections match up. I’d hardly call any of the four short stories in Magnetism ‘great love,’ but perhaps that’s just me. The Sensible Thing, which competes with Bernice Bobs Her Hair as my favourite story in the collection, is the tale of a young man named George O’Kelly who, even though he’s a trained engineer, has a measly job as an insurance agent earning forty dollars a week. George is living and working in New York when he receives a letter from the girl he loves, Jonquil, who lives in Tennessee. The letter makes George nervous enough to leave his job and travel back to Tennessee. He senses that he’s losing Jonquil. He wants to marry her, but she says it’s not “sensible.” They part and meet a year later when George has become successful…. In The Bridal Party, Michael, a young man is in Paris trying to forget the woman he loves when he learns that she’s in Paris about to be married to another man. Magnetism is the story of a handsome actor, George Hannaford, who is married to Kay. Women tend to throw themselves at George and for the most part, he’s oblivious to the attention. Trouble comes to George from two directions: he’s attracted to a young actress he works with, and a woman he knows resorts to blackmail. Bernice Bobs Her Hair isn’t about love at all: it’s about how women undermine each other, and how women compete in underhand ways for men. Bernice, who is from Wisconsin, visits her worldly, attractive, popular cousin Marjorie. Socially, Bernice is a hopeless failure, and initially Marjorie undertakes to improve Bernice’s social life, but the plan works a little too well. The content of the stories is typical F. Scott Fitzgerald fare, and if you’re not ready to tackle one of this author’s novels yet, or conversely, if you’ve read the novels, you may like these short stories. In The Bridal Party and The Sensible Thing, Fitzgerald cynically assesses how money influences love. While George O’Kelly and Michael are sincere young men, they have the misfortune to fall in love with women who value money above character. The gay young things of Bernice Bobs Her Hair date the story a bit but the central idea: women with their knives out for the competition is still relevant today. 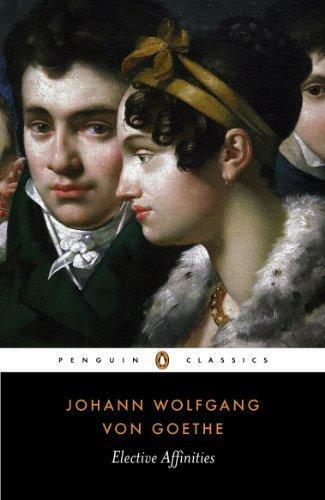 Last year I read Maupassant’s Bel Ami: the story of a mediocre man who soars in Parisian society, establishing a stellar career as a journalist through a series of exploitive relationships with women. I loved the novel for its cynicism and for its hollow main character–an amoral man who very successfully sails through life without really ever having a clue about the sort of person he is or ever examining his complete lack of talent. So this led me to Alien Hearts Maupassant’s last novel. When I read that New York Review Books intended to release a new translation by Richard Howard, well I knew I had to read it. I was curious to see how someone as cynical and world-weary as Maupassant dealt with the subject of love. I was not disappointed. 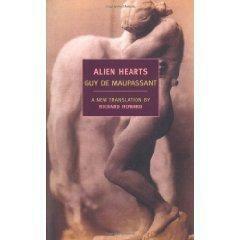 Alien Hearts was published in serial form in 1890, and it’s Maupassant’s last novel. After Alien Hearts, Maupassant wrote two more plays before dying of Syphilis in 1893 at the age of 43. Another great writing career cut short. Given the cynicism of Maupassant in his 30s & 40s, I can only speculate about the sort of books he would have written in the old age that was denied him…. 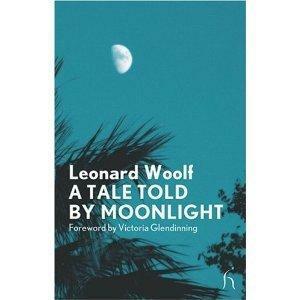 Onto the novel: and what a splendid read this is. Alien Hearts presents one of literature’s strangest love affairs–an affair that takes place between Andre Mariolle and the beautiful widow, Madame de Burne. Given Maupassant’s presentation of the utilitarian basis of relationships, it makes perfect sense that this author’s version of a love affair would be out of the range of the usual love story theme. Alien Hearts is a psychologically complex anti-love story. It’s not an anti-love story in the sense that Maupassant says that there’s no such thing as love; that would be too simple for a mind like Maupassant’s. In Alien Hearts, Maupassant analyses the relationship and the love affair between Mariolle and Michele de Burne and strips it down to reveals its complications and its paradoxes. His lofty air of reserve seemed to say, “I’m nothing because I chose not to do anything.” Consequently he moved in a tight little circle, scorning elegant flirtations and the grand salons where all eyes were on others who would have outshone him, casting him into the ranks of worldly supernumeraries. He made his appearances only in houses where his serious and undisclosed talents were sure to be acknowledged. Mariolle is persuaded by one of his friends to attend an evening at the home of Madame Michele de Burne–a young, attractive widow whose brief marriage “to a well-bred monster” was so miserable that people speculate that her experience was so aversive, so repulsive, that she will never marry again. And indeed there seems little doubt that Madame de Burne is in her element as an attractive widow, hosting social evenings in which she gathers together various artists: musicians, novelists, philosophers, poets and wits. Madame de Burne’s father serves as a “formidable chaperon,” and his presence helps stave off some of the uglier gossip. Madame de Burne “indulged her mildly bohemian tendencies with an altogether bourgeois prudence,” so that society never has cause to suspect any hint of scandal taking place between the widow and her cultivated coterie of admirers. Warned by a friend that Madame de Burne is a collector of men, Mariolle attends his first evening at Madame de Burne’s quite aware of the fact that she wants to add him to her circle. Some of her admirers are married–others are single, but there’s an evident pattern of behaviour at play. A newcomer is invited, and if he pleases or amuses Madame de Burne, then he becomes the new favourite and in time is added to the inner circle of discarded favourites. All of the men have tried to seduce the widow, but all have failed. Some men hang on in the “sect” like eunuchs in the widow’s harem, continuing to be besotted with their hostess and content to share the air she breathes, while other men drop out of the circle embittered and jealous. Gaston de Lamarthe, a friend of Mariolle and a “novelist by profession” finds the psychological aspects of Madame de Burne’s behaviour utterly fascinating. Indeed she provides the novelist with ample material for a novel about women who “never manage to reach the level of real desires.” At least as a writer Lamarthe has an outlet for his amorous disappointments. 3) to imagine, through an appeal to his ego, that he will be the One who will capture Madame de Burne’s heart and body. Alien Hearts is the story of Mariolle’s relationship–his love affair–with Madame de Burne. Mariolle longs for grand passion, and he feels it, but his hunger and obsession is fed with disappointment, and he finds he’s “trying to kiss a mouthful of air.” As Maupassant tracks the affair he effectively strips away at the mystique of love, analysing it in the process: the torment, the esctacy, and the passion, and in its place what is left is a tepid affair that resembles a marriage in the dull inevitability of compromise and a polite glossing over of unacceptable behaviour for the sake of domestic harmony. The fascinating psychological aspects of Alien Hearts create numerous questions about the nature of love, the ability to love, the variable human need to love and to be loved, and the power struggle and inequities within all relationships. she considered herself a creature virtually unique, a singular pearl cast in a mediocre world which struck her as somewhat barren and monotonous precisely because she was too good for it. Never would she have suspected herself to be the unconscious cause of the continuous boredom she suffered from; she blamed others for it and held them responsible for her melancholy. If they could not manage to divert her sufficiently, to amuse and even to attract her, it was because they lacked talents, charm, authentic qualities. Well there’s no accounting for taste and Tolstoy could be notoriously nasty when it came to other writers (Shakespeare, Dostoevsky, just to mention two names), and then Tolstoy’s relationship with Turgenev was hostile enough to lead to threats of a duel to the death. But it is worthwhile to note that while Tolstoy loathed Alien Hearts, he was reading Maupassant’s Un Vie when Tolstoy made that famous dash to the ‘last station’. Personally, I prefer Bel Ami and Alien Hearts to Un Vie….